For battery to work with MacBook, you need Do-it-Yourself Magic Box kit (Sold separately). 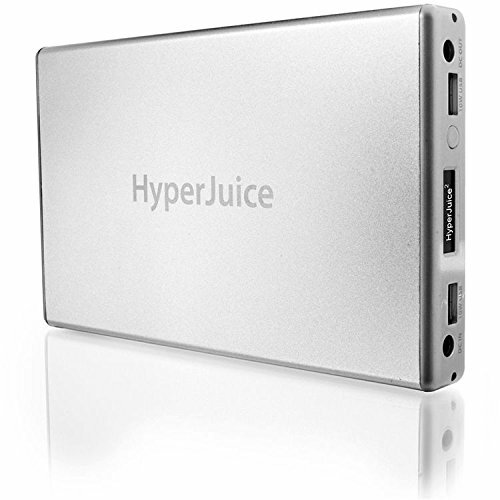 HyperJuice 2 is next generation of battery pack that feature an advanced battery management and monitoring system. An OLED screen provides detailed battery information like percentage power remaining, temperature, time to full charge and discharge. The modular design allows the aluminum casing, lithium ion battery cells and logic board to be replaced and upgraded individually, making the battery future proof and environment friendly. - Modular design allows aluminum casing, battery cells and logic board to be upgraded individually making the battery environment friendly and future proof. If you have any questions about this product by Hyper, contact us by completing and submitting the form below. If you are looking for a specif part number, please include it with your message.